Interested in bringing color to your outdoor space first thing in spring? Buy Pansies! Rooting from European and western Asian countries, pansies give your home a delightful pop of color. These cold hardy annuals can be planted while there are still frosts in early spring. 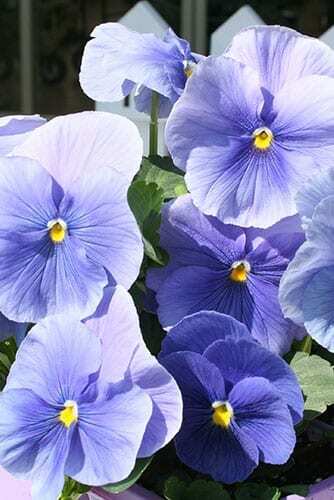 Pansies are an exceptional type of flower, always looking vibrant in spring, summer, and early fall. With a large single bloom, these flowers can add any color to your outdoor space including vibrant yellows, violets and blushed blues. These rugged plants require consistent watering and fertilizers, making it simple to care for them. Not only are they great for your outdoor space, they also make great containers plants as well. Whether you have your pansies in a garden outside or container inside, they will definitely give your space the first color in the neighborhood. To purchase your own pansy plant, contact Platt Hill Nursery or visit one of our locations today.